Sometimes this may be all too easy to forget, but skin is the biggest organ of the human body, and like our other organs, it needs nourishing and caring for. It also suffers from external elements including the change of weather be it hot or cold. The winter weather can make skin become dry, tight and in some cases, even red, blotchy, itchy and sensitive. These symptoms are even more pronounced if you suffer from inflammatory skin disorders such as eczema or psoriasis. We caught up with Dr Nyla of The Medispa in Wilmslow and got the lowdown on her top tips to keep your skin looking and feeling amazing this winter. So why does this colder weather wreak such havoc with our skin? As cold air contains less moisture than warm or hot air, it can be intensely drying on the skin. Winter winds can also strip your skin of its natural lipids, which are the most important part of the skin barrier and keep your skin from drying out. 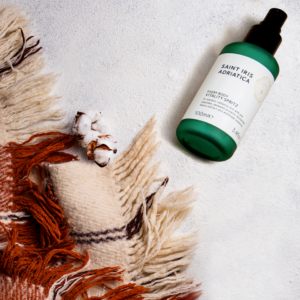 Couple this with the fact that we all crank up the heating in our homes to keep us toasty on those dark and cold winter nights or are ravaged by the over-zealous heating at work, can leave our skin feeling parched. I cannot stress enough how face wipes any time of year are bad for your skin, but particularly in winter due to the fact they contain drying alcohols and harsh fragrances. These strip your skin of the essential oils it has, so when combined with the colder air, your skin really is taking a battering. They don’t take your makeup off properly rather just move it around your face which will act to build up debris and skin irritants on your face. Instead opt for an organic cleanser which doesn’t include fragrance or alcohol. One way to combat the drying out effects of your central heating at work or home, is to invest in a humidifier. This will add more moisture to the air and help prevent your skin from drying out. The amount of water you take on board in the summer months is just as important in the winter months. Our body acts as a humidifier, when breathing in the cold dry air outside, it warms it up on the inside so when you breathe out it’s more water particles, meaning you actually lose water. 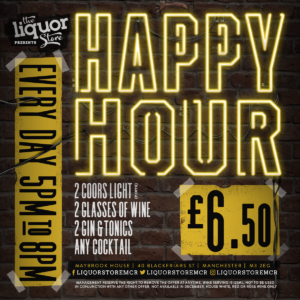 So to ensure you keep that glow drink 8-9 glasses of water a day. This will keep you and your skin hydrated and also act to banish toxins that will also lead to impurities in your skin. Dry, dehydrated skin will increase sensitivity. Addressing it quickly can help stave off issues of sensitisation. Look out for serums that contain anti-inflammatory ingredients such as Niacinomide which help to control inflammation as well as reduce redness. 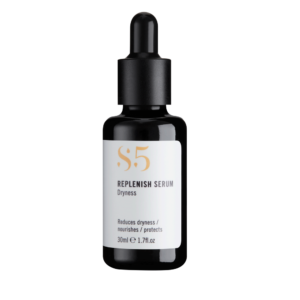 Also look for serums rich in antioxidants to help repair and protect. Exfoliation is still important even if your skin is feeling dry. We shed around 40,000 skin cells an hour and the more distressed our skin is, the more these skin cells sit on the outer layers of our skin, the more they make it look flaky and uneven. Selecting the correct exfoliator is key. 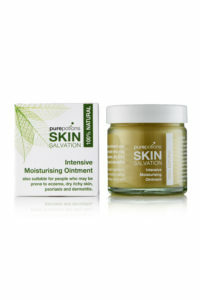 Look out for ones containing lactic acid as this not only gently exfoliates it is actually hydrating at the same time. Moisturisers are surprisingly misunderstood and choosing the correct one for your skin type can be a tricky task. Selecting the correct moisturiser will be dependent on your skin type. One factor that determines your skin type is the amount of oil your skin secretes – if you have oilier skin then go for an oil-free and lightweight formula, whereas drier skin types are much more suited to an emollient-rich formula. Whatever your skin type, moisturisers will help to protect your skin from external elements while making equally it softer and smoother. You may find that your current moisturiser is perfectly adequate for most of the year, but as weather conditions change in winter, your skin may require a slightly richer formula to nourish and protect it fully. 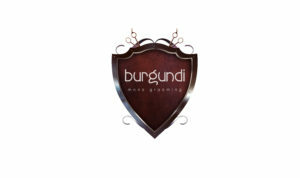 Look out for humectant ingredients such as honey that help to bind moisture to the skin. Finally, do think about your diet. As the dark nights creep in, the craving for comfort food starts and over indulging is common. But help to keep your skin healthy from the inside out by opting for yellow and orange foods which tend to be high in Vitamin A. Try to consume more fish which are high in omega 3 and essential fatty acids – all ingredients which your skin needs to keep hydrated and healthy. 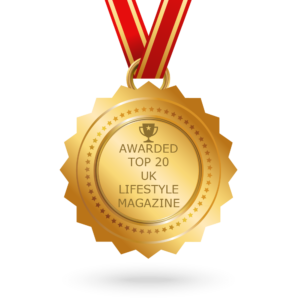 To help you on the path to better skin, we have tried and tested a range of skincare products, to suit all skin types and lifestyles. Not just a hand cream, this extraordinary product is a powerful anti-ageing treatment that helps protect the skin from environmental stress and combats the visible signs of premature ageing. A rich, luxurious treatment cream that has a quick, non-greasy dry-down and divine fragrance of Australian tropical flowers. Winter is possibly the worst time of year for dry eyes. Eyes can feel “gritty” and dry, but they can also become watery as a cold breeze causes dry spots to occur on the front of the eye. This is because the wind can be so drying that our eyes over-produce watery tears which just run off our eyes. You might think this can’t be a dry eye, but these tears are often too watery and don’t contain the oils that essential for the prevention of evaporation of tears. 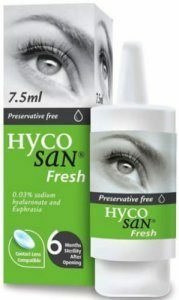 Preservative-free eye treatments like Hycosan can replace some of the lost moisture and stabilise the layer of tears on the surface of the eye to minimise the drying effect of the wind. 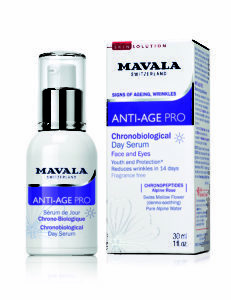 Harnessing the power of Swiss botanical science by creating a seamless fusion between Swiss alpine treasures and the science of cosmetology, Mavala’s Anti-Age Pro System skincare line is results-driven and targeted. 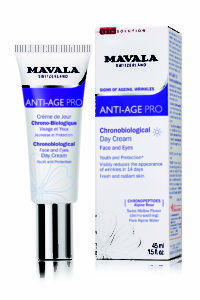 Formulated with a clever time release system, the Anti-Age Pro line works with a chronobiological action to eliminate toxins and accelerate cell renewal. Consisting of two products designed for the day, this range compliments the Anti-Age Pro Night and targets anti-aging from all angles. Active Cleanse and Enhance & Protect are designed to be the only two skincare products needed by active people, especially during winter! Active Cleanse doesn’t need water so can be used anywhere and anytime you need to clean your skin – after a brisk walk, jog, or gym session; the list goes on! Enhance & Protect is unique because it doesn’t run into your eyes when you sweat and won’t cause spots, and also acts as sun cream. 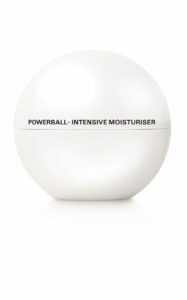 Powerball’s breakthrough technology defeats dehydration by flooding the skin with a power-house blend of 21 natural hydrating agents that act on every level – refilling, reviving and most critically, retaining. The key to Powerball’s efficacy is Ectoin, a moisture hoarding and holding protein that enables organisms to thrive in harsh, arid, desert. 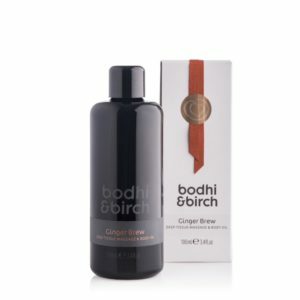 This exhilarating radiance mist refreshes and hydrates on the go, uplifting both body and mind. Skin is left cool and deliciously scented. Quite frankly, it smells and feels amazing! 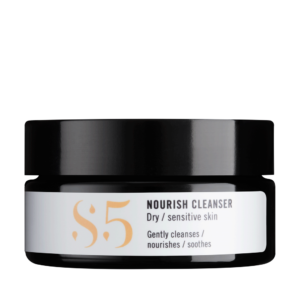 The S5 Nourish Cleanser is an oil-based cleanser which is designed to gently yet effectively cleanse dry and very dry skin without stripping it of its protective moisture. The bio retinol rich Replenish serum contains Omega 3, 5, 6, 7 and 9 as well as vitamins A, C and E. It is blended with organic oils such as Sea Buckthorn and Rosehip oil and bio mimetic oils to help to replenish the skin’s barrier layer. 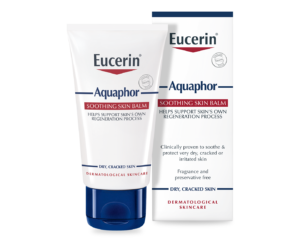 Clinically proven to hydrate and support skin regeneration to aid the recovery of extremely dry, damaged or irritated skin. This water-free, paraffin-based formulation helps the skin by creating the ideal environment. It quickly creates a semi-permeable, protective barrier over the skin which maintains the natural rate of water vapour, thereby keeping the damaged skin moist and supporting regeneration. To reduce the risk of sensitive skin getting irritated or flared-up by synthetic ingredients, the salve contains absolutely no fragrance, parabens, PEGs or petrochemicals. The salve supports the healthy maintenance of the skin barrier function to preserve moisture; dehydrated cells can lead to skin damage and damage can lead to itchiness. When you’re sleeping, the skin renews and repairs itself much faster than when you’re awake. 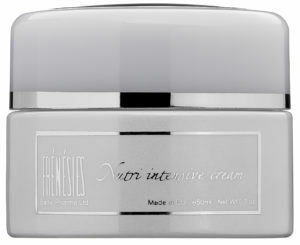 The intensive double-action formula of Active Nutri-Intensive Cream contains the key ingredient of retin A to aid this process. 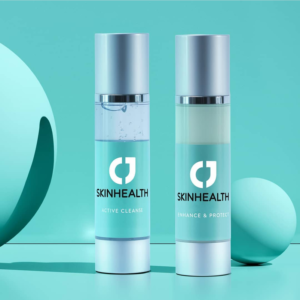 Not only does it deeply hydrate and nourish the skin, penetrating deep into the surface for optimal and long-lasting hydration, but it gently works to remove any build-up of toxins and acne-causing bacteria. after your bath or shower for a deeply nourishing glow. 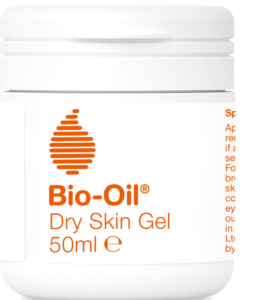 Bio-Oil Dry Skin Gel is a revolutionary oil-based formula from the makers of the world’s best-selling Bio-Oil Skincare Oil. The breakthrough formula replenishes the skin’s barrier and deeply moisturises. The unique gel-to-oil texture absorbs easily creating a protective film to resist moisture loss and restore the hydration within the skin. 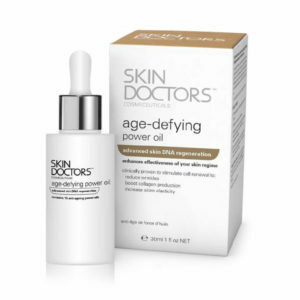 This new and advanced anti-ageing treatment combines 15 power oils to maximise your youthful skincare regime. Chosen especially for their properties rich in Omegas 3,6 and 9, key vitamins A,C,D & E, essential fatty acids and antioxidants, these oils work in conjunction to provide essential building blocks for youthful, healthy looking skin, and deliver exceptional skin nourishment. 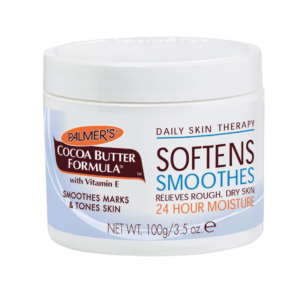 The original classic moisturiser; this unique “solid” formula contains the highest concentration of Cocoa Butter, making it the perfect choice to soften, smooth and relieve rough, dry skin. Containing pure Cocoa Butter enriched with Vitamin E, this cult classic is an excellent all-over-body moisturiser and after tanning butter. Smoothes and blends marks, scars and stretch marks, leaving your body feeling silky soft and smooth. Perfect for dry skin, this blend of Frankincense and Argan oils tone and moisturise your skin while the warming scent of Black Pepper, Rosemary and Bergamot essential oils scent your skin and the air with a calming and uplifting aroma. vitamin complex protects and repairs skin from environmental damage and pollution. 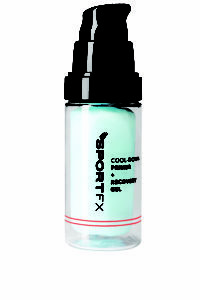 Spray, which will keep you cool and reduce redness thanks to the anti-inflammatory properties. 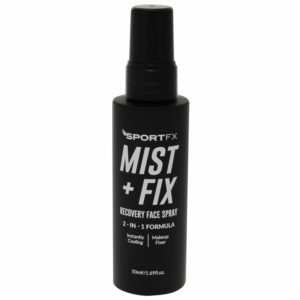 Leave your workout with dewy skin and spritz throughout the day for an instant refresher (on top of make up or on a bare complexion), making this the perfect space-saving multi-purpose product to pop in your gym kit. 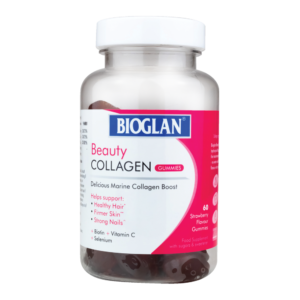 Bioglan Beauty Collagen gummies are the first Collagen Gummy in the UK market dedicated to supporting healthy hair, skin & nails. Strawberry flavoured and deliciously sweet, these are the vitamins you look forward to taking in the morning. Come charging to the rescue of dry, damaged and over-processed hair with this 97% natural, super-quenching treatment. Packed with sweet almond and black oat extracts to hydrate, restructure and transform hair in distress. The skin on the feet is much thicker than elsewhere on the body, so you need a cream with a rich consistency containing urea to actually get into the thicker layers rather than a body moisturiser, which can be too watery and cause soles to slip. 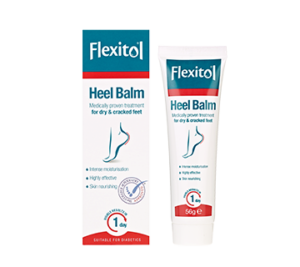 If dry and cracked heels are a problem, treat them with Flexitol Heel Balm which includes 25% and is clinically proven to treat problem heels.